Fermentation temperatures are an important, and often overlooked, aspect to brewing. Keeping the temperatures in the yeast’s happy zone will help ensure good attenuation, and reduce the chance of off flavors in your beer. What’s that you say, evaporative cooling is the answer? Well, frankly, the intricacies of evaporative cooling techniques escape me, and I find it largely useless with high heat. Also, evaporative cooling doesn’t help regulate the temperature of the beer, so it is still susceptible to large swings in temperature. I have turned to icing the beer in summer heat. Perviously, I just put the beer in my cooler and add ice. The same cooler I converted to a Mash/Lauder Tun a while back. It worked decently well, but since the carboy stuck out over the top of the cooler, there was no seal, and the coolness was escaping quicker than I liked. 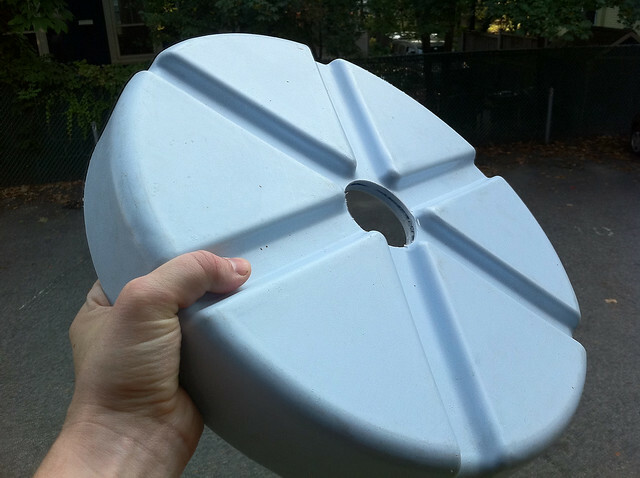 Then it hit me: why not drill a hole in the top of the cooler’s lid?. That way I could get a seal on the cooler and keep in that coolness. I was hesitant, because I didn’t want to ruin the mashing capabilities of my tun with a big ol’ hole in the top . I looked around online for a replacement lid, so I could have an un-hole-y one for mashing, but the price of a replacement lid is almost the same price as a new cooler! I thought about buying a second cooler, but I don’t really have the space for another one in our 1 bedroom apartment. Finally, I just decided to try it out. Worst case scenario, I would be buying a new lid. Then, I just screwed on the top and let it sit. Overall, this has been a great success. The ice is more effective now. 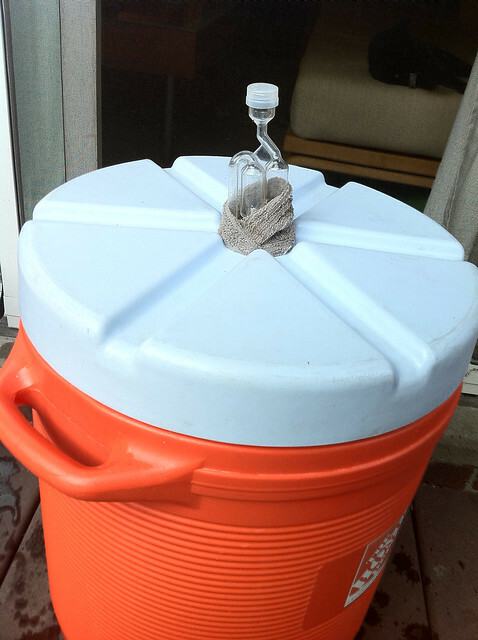 Once the carboy/water inside the cooler hits a stable temperature, it can hold that temperature for a day or two. When it’s time to mash, I just plug the hole in the top with a rag, and I haven’t noticed much of a temperature fall off. 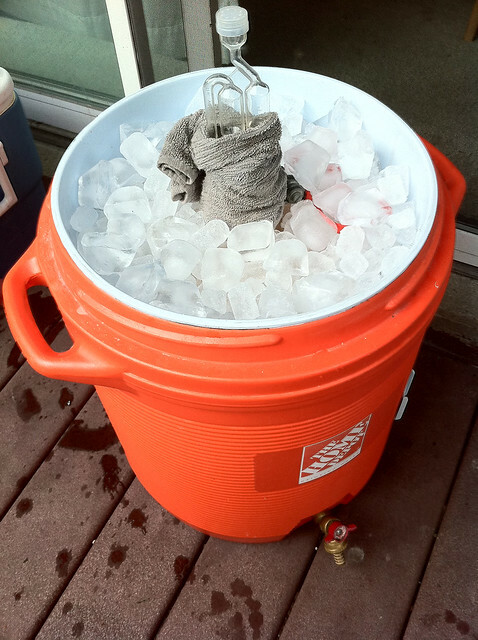 If you struggle with temperature, and have a 10 gallon cooler laying around, get out your drill and convert it into a fermentation chamber today!